Yes, this is basically the same thing, except the bamboo stitch pattern I have has the purl row as the 2nd row, and the '+2' is﻿ omitted from the stitch number. I loved how this looked. Would this look nice for a baby blanket as well? How would you recommend I do the edges if I try this? If you like the stitch, then you can use it for anything you want, even a baby blanket. 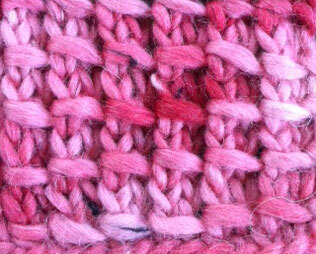 You can do a garter stitch border, or seed stitch might be nice. 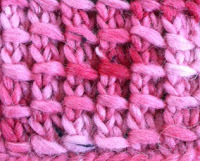 Seed Stitch is the border I usually go for. 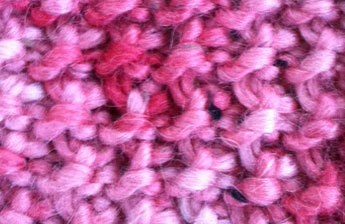 I have a video on that coming soon, and I already have one up for garter stitch border. I'd love to see your blanket when it is done!